A bill that would have required most “able-bodied” welfare recipients to work has been tabled in the Iowa House. Republican Representative Steven Holt of Denison said welfare fraud is the number one issue voters in his district want addressed, however the bill will not advance in a House committee because there’s an estimated $1 million price tag for the administrative costs associated with implementing the requirements in the bill. The Trump Administration has signaled it will allow states to impose a work requirement for Medicaid recipients. 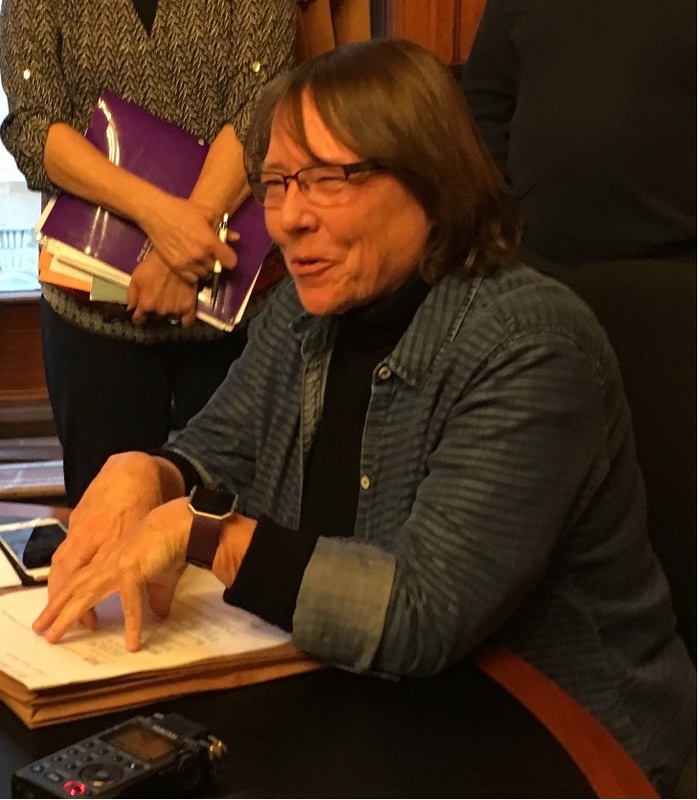 The legislation Holt and two other House members reviewed early this evening called for Iowans covered by Medicaid or getting food stamps or child care assistance grants from the state to work or engage in volunteer activities if they are able. Wendy Rickman of the Iowa Department of Human Services told lawmakers her agency would have to hire at least 100 more workers to oversee the requirements outlined in the bill. A group called the Foundation for Government Accountability has a national campaign urging state legislatures to act. “What we’re going after is those childless adults in Medicaid and food stamps that are not working and should be,” said Karla Fultz-McHenry, an Iowa-based lobbyist hired by the group. Forty-two percent of Iowa food stamp recipients are elderly or disabled. Officials say there’s a working adult living in nearly 55 percent of the Iowa households that have qualified for food stamp benefits. Republican legislators may direct Iowa Department of Human Services officials to start drafting a federal waiver request that Iowans getting welfare benefits be required to work, if they are able. A three-member panel in the Iowa Senate is scheduled to meet early Thursday morning to discuss the issue. Last month, Kentucky officials got a federal waiver. It allows Kentucky to require most Medicaid recipients between the ages of 19 and 64 who aren’t in school or in drug treatment to work or volunteer at least 80 hours per month.